How can Luxury Apartments in Harford County add convenience to my lifestyle? Are you in need of a little extra lifestyle convenience? It may be time to move into a new apartment. Harford County has luxury apartments available that can add convenience and improve your quality of life. One particular luxury waterfront apartment community that can offer you convenience and quality is Harborside Village. This beautiful luxury waterfront apartment is close to some of the best retail stores and restaurants in the region. Not to mention, you will have incredible views of the waterfront. Harborside Village is conveniently located just 10 minutes away from I-95 to offer you very affordable rent while reaping the benefits of luxurious living. You can also enjoy the beautiful Mariner Point Waterfront Park. Here you can hike, bike, fish, picnic, grill and use the public boat ramps! If you are looking from great access to greater Baltimore or the DC metropolitan area, Harborside Village is the perfect luxury apartment community. There are so many great apartment homes and offers excellent luxury amenities.You can learn about our beautiful and spacious floor plans, as well as our luxury amenities today. We are all about bringing the community together. Enjoy great conversation and entertainment at our clubhouse. Take a walk along the waterfront. Enjoy a crab feast or cook out at your convenience. Exercise at the fitness center. Go bird watching. Harborside Village is truly a place to relax and have fun anytime. Harborside Village is a luxury apartment community that is family friendly as well as pet friendly. Our architectural styling is eye catching and sophisticated. 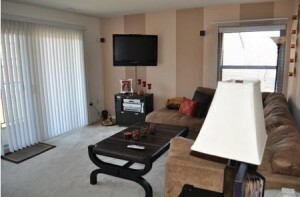 Our apartment units are comfortable and offer excellent privacy. You will truly enjoy the finest of waterfront living. Let us help you harmonize your life today. Learn about our community features and full list of luxury amenities now. This entry was posted on Monday, May 19th, 2014	at 12:30 pm	. Both comments and pings are currently closed.